Woven shirts are a great option for workwear or for leisure screen printing applications such as fishing, camping or hiking. Both synthetic and cotton options are available, many styles featuring easy care option that makes product care a breeze. Polos and knits are a favorite option for more relaxed workwear and are very popular for performance applications such as golfing, sailing or yoga. Eco-friendly fabrications as well as exotic materials are available for your most demanding customers. T-shirts are the most economical items and are often used as an entry-level item for applications where you need to deliver your marketing message to large audience. From economical low-thread-count tees to premium eco-friendly designs, t-shirts are a great way to screen print your design into a marketing asset that can be used to represent your company or an event. Infant and toddler wear is a popular option for family events and gatherings. Featuring tops and bottoms, onesies, outerwear and accessories, these items will certainly look almost as cute as your baby. Besides t-shirts, sweatshirts are the most popular garments used for screen printing and embroidery applications. Choose from a large selection of hooded, crewnecks or full-zip sweatshirts, many of which feature eco-friendly fabrications. Soft shell jackets, rain jackets, parkas, fleece or denim—outerwear items provide great value and feature high retention rate among customers thanks to their higher utility value. 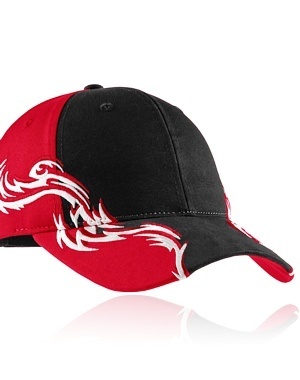 Caps and hats are among the most popular accessory items available for screen printing and embroidery. Often perceived as a higher value item than a t-shirt, these hats and caps are a great marketing vehicle for your marketing campaign. If your application requires stylish yet functional items that will have long-lasting impression and will keep delivering your message for quite some time choose from the selection of briefcases, backpacks, duffels and travel bags. From blankets to towels, aprons and gloves our accessories section will offer you a non-standard item that can convey your marketing message in a less obtrusive way and thus achieve a higher retention rate among your customers. For professional applications choose from our great selection of work jackets, industrial work shirts, safety garments or medical field pieces. Your company will be represented professionally in the workplace. Our offering wouldn't be complete without pants and shorts to complement your customers' outfits. From work pants to athletic shorts these items are great for conveying your marketing message in a less obvious way. Purely coincidental, but on the same day, we printed outerwear jackets to be worn on a Mt. Everest expedition--at 29,028 feet the world's highest mountain, and some special wetsuits to be worn by divers from Monterey Bay Area Research Institute on a dive to the Monterey Bay Canyon... one of the world's deepest points--nearly 2 miles to the sea floor.